As September comes to a close, this month’s roundup will focus on a couple of interesting new watches. The first watch that I want to highlight is the Gorilla Fastback watch. New watches are introduced about everyday online, but few with as interesting a design lineage as the Gorilla Fastback watch. 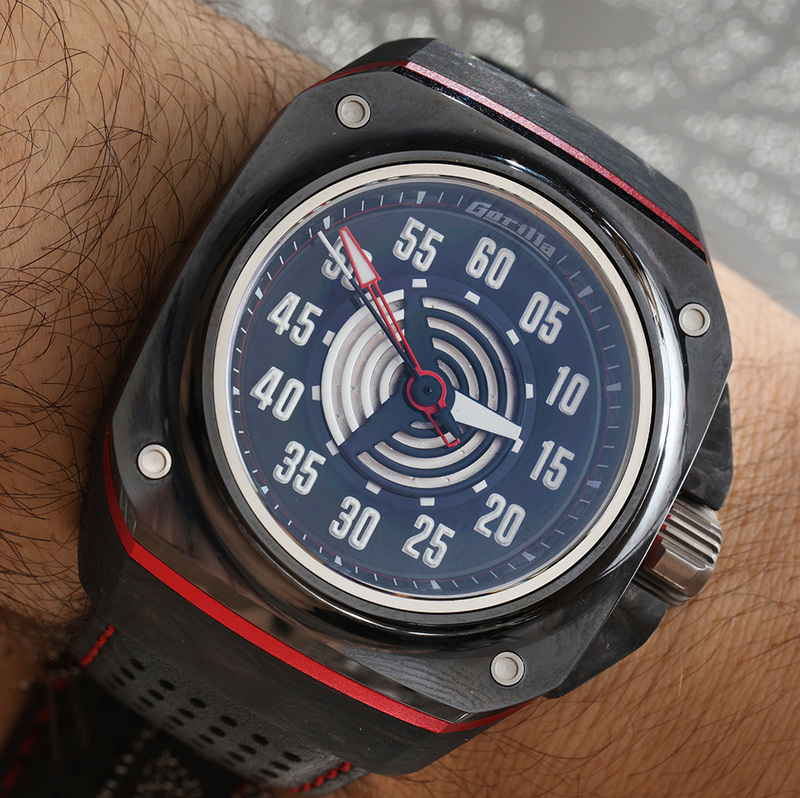 It features an unusual design and has a case made of carbon fiber, but perhaps more impressively, it will go for under €1,000. 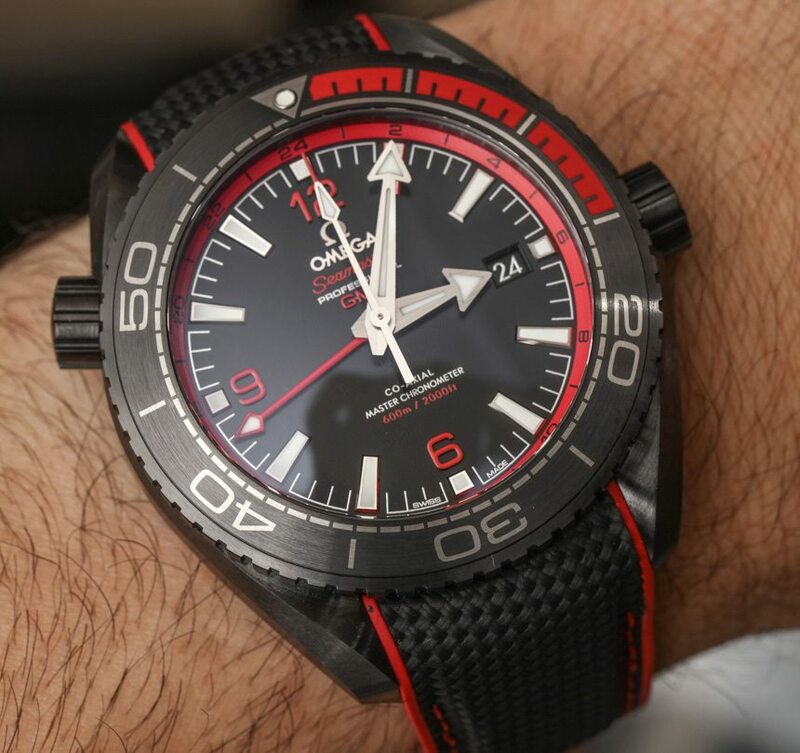 The Gorilla Fastback watch aside, we will also be taking a look at a couple of black-colored (in one way or another) watches, namely Hublot’s new Big Bang Unico Sapphire All Black watch and Omega’s latest Seamaster Planet Ocean Deep Black GMT watch. In addition to new watches, we will also be turning our attention to a few vintage icons. Among a couple of vintage Rolex watches is a vintage “Red Submariner,” and we discuss exactly why it is sought-after. The other is Rolex’s GMT-Master 1675, a watch that is gaining attention amongst vintage Rolex collectors and steadily appreciating in price. Then, we look at a newly discovered Panerai reference 3646, which was found during a home furniture valuation. Learn more about these vintage icons below. There’s no shortage of new watches being peddled online these days, but most of them are uninteresting, of derivative designs, or just plain replicas of other more famous designs. This one, however, is different. 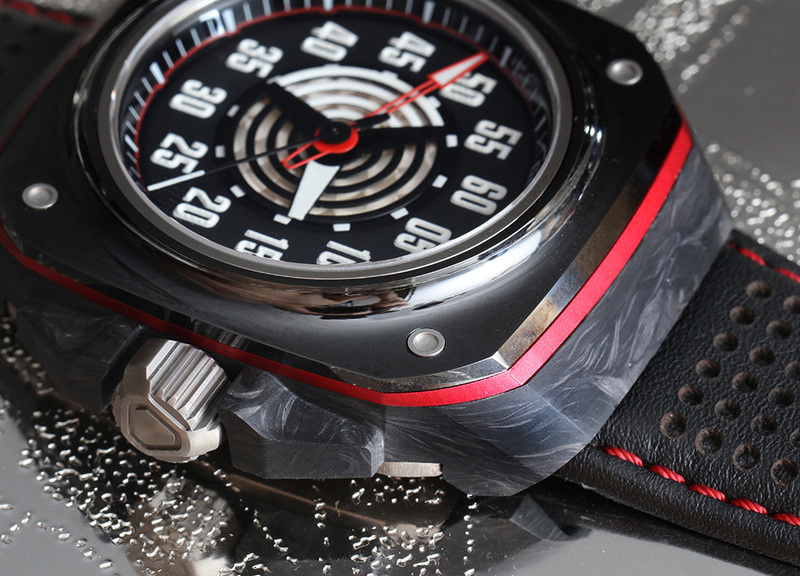 Straightaway you can see that the Gorilla Fastback watch is a little special. The design is fresh and bold, and that’s partly because the man behind the brand is a certain Mr. Octavio Garcia, who happens to be the former Chief Artistic Officer of Audemars Piguet. He has decided to strike out on his own and this is his first watch. And the best thing about it is that it will go for under €1,000. Check it out here. Hublot is a brand that I admire very much for their boldness and brazen attitude toward new releases. They just don’t seem to care what the general public might think. If they think something is cool, they will go ahead and just do it. And this seems to be the spirit behind their new Big Bang Unico Sapphire All Black watch. The watch case is made entirely out of sapphire, but it’s a special kind of sapphire that has been darkened. 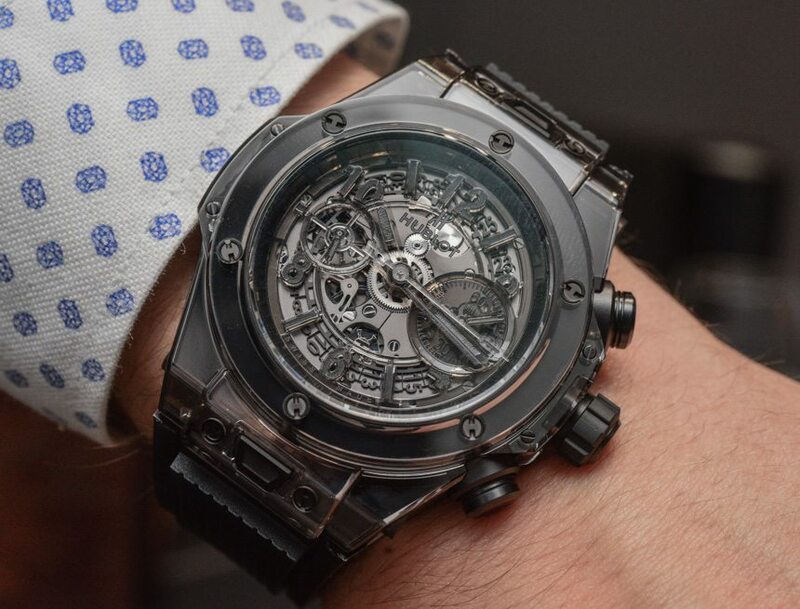 Further, instead of making the hands and dial markers in white to improve legibility, Hublot has gone ahead and made them all black and sapphire instead. The end result is a watch that is in all shades of black, which looks very cool, but is at the same time also difficult to read. Cool or not? Let us know in the comments below. The Oris Divers Sixty-Five is one of the best vintage-inspired watches in recent memory. And Topper Jewelers has smartly requested Oris to make a special-edition 100-piece run of Oris Divers Sixty-Five watches for them. Topper Jewelers is one of Oris’ most important retailers in the States, so it is no surprise that they were willing to do a special edition watch just for them. But can you tell what’s different in this Topper Edition Oris Divers Sixty-Five as compared to the regular edition? To be honest, I couldn’t at first, either; but once you do, I think you will appreciate the subtle but meaningful changes. Red Submariner. These two words are often enough to raise the heart rates of vintage Rolex collectors. The reference 1680 Rolex “Red Submariner” was produced in the late Sixties and marks the additions of the date complication and Rolex’s now signature Cyclops lens. It’s so called because the Submariner name is printed in red, but this is only found on the earliest batches of reference 1680 watches, and so it is relatively rare. But this vintage Rolex Red Submariner is even more special because it has seen actual military service during the Vietnam War. 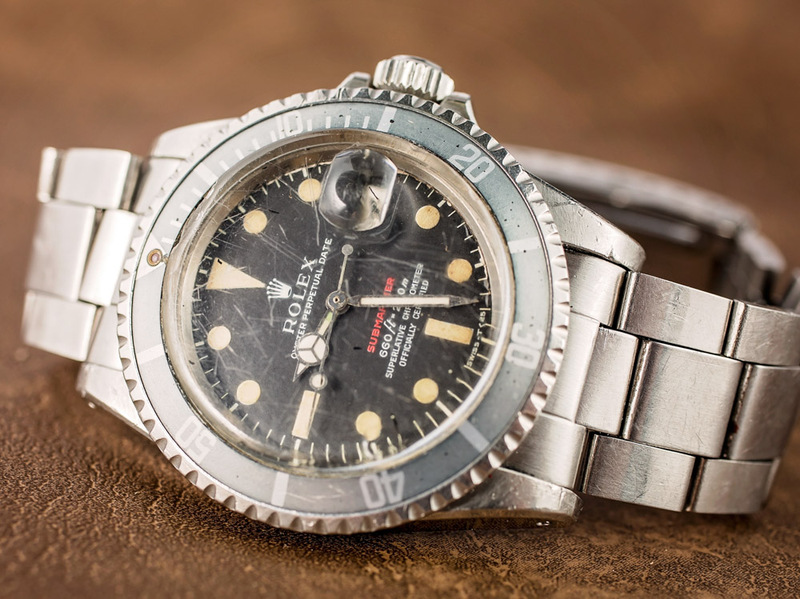 Learn more about the vintage Rolex Submariner 1680 reference and the story of this interesting watch here. It’s no secret that sales of Swiss watches now are in the doldrums. Sales of watches in August 2016 are down 8% when compared to the same month last year. But what’s interesting to note in this statistic is that sales of watches in precious materials (gold and platinum) are down a whopping 26%. Perhaps what’s more telling is that sales of watches in steel are actually up by 6%. 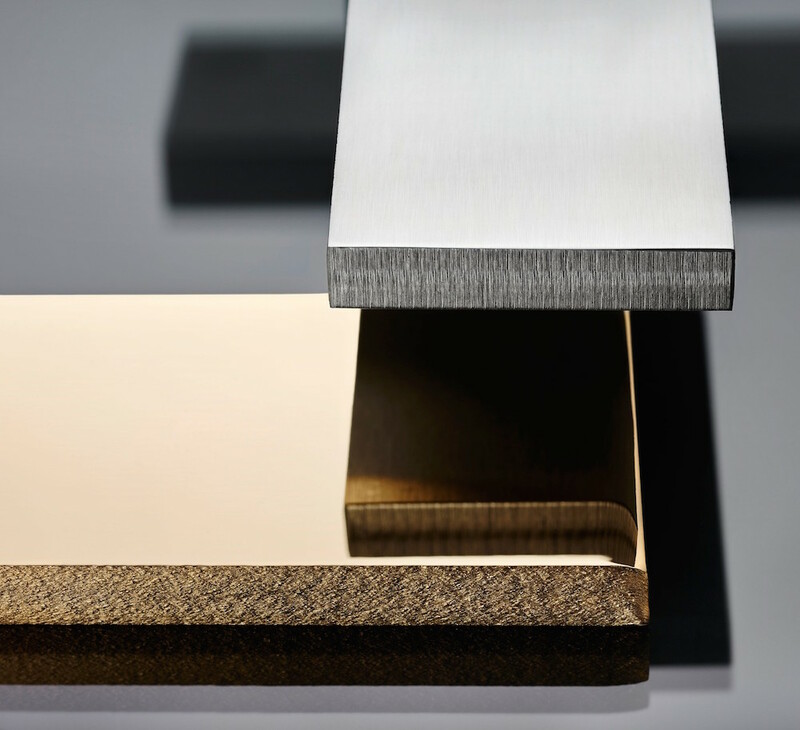 This tells us that while fewer people are buying watches, those who do are gravitating towards steel watches, which tend to hold their value better than their precious metals counterparts. What does this tell us about buyers’ mentalities? And more importantly, what can watch companies do to reverse this trend? The new Omega Seamaster Planet Ocean Deep Black GMT watch continues Omega’s love affair with ceramic. Omega already has a pretty extensive collection of Speedmaster watches rendered almost entirely in ceramic and they are now extending this to the Seamaster collection with these new watches. Like their ceramic Speedmaster counterparts, the case and dials of these new Planet Ocean Deep Black watches are constructed out of ceramic, which is extremely strong and highly resistant to scratches. In addition, these watches are also Master Chronometer certified, which means they are highly accurate and almost impervious to magnetic fields. If you are looking for a tough, go-anywhere, do-anything watch, you should definitely check out Omega’s latest. Regardless of what you may think of electric-powered watches, smartwatches are actually one of the most interesting fields of development in the watch industry. Mechanical watch lovers may look upon them with disdain, but the fact is that smartwatches have made some significant improvements in terms of design and functionality in the past two or so years. And with Apple releasing its new Apple Watch Series 2 smartwatches, all eyes are on smartwatches again. 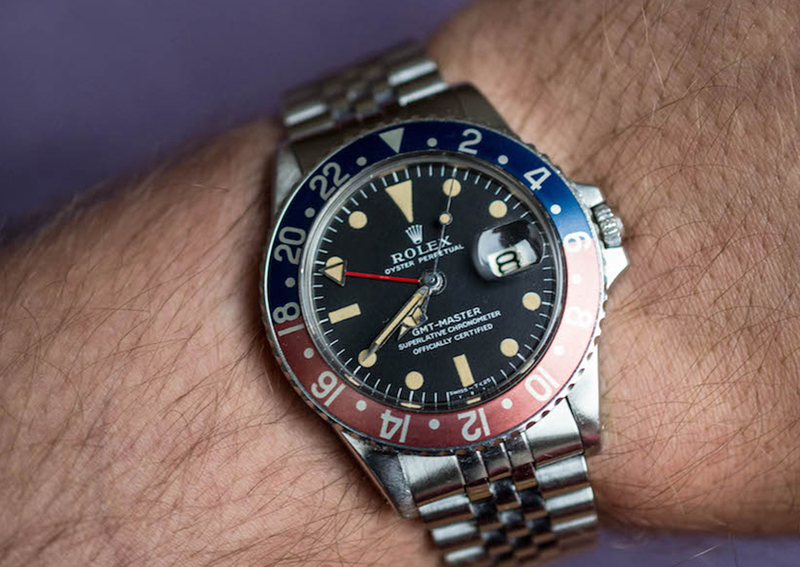 In the world of vintage Rolex watches, the Daytona and Submariner are the undisputed kings, with fine examples of each easily capable of ringing up tens if not hundreds of thousands of dollars. The Rolex GMT-Master, however, is slowly but surely gaining attention and appreciating in price. Here, we take a look at the Rolex GMT-Master reference 1675, which is the second Rolex GMT-Master and was introduced in 1959 to replace the revered reference 6542. Learn more about this amazing vintage Rolex reference here. Vintage watches can appear in the most unlikely of places. In the case of this vintage Panerai reference 3646, it was found sitting in a drawer by an elderly lady during a house furniture valuation. Can you believe that? It goes without saying that vintage Panerai watches are extremely rare and desirable, with many of them having seen actual military action. And every new find is exciting because it also reveals more to Panerai scholars about the nature of vintage Panerai watches. 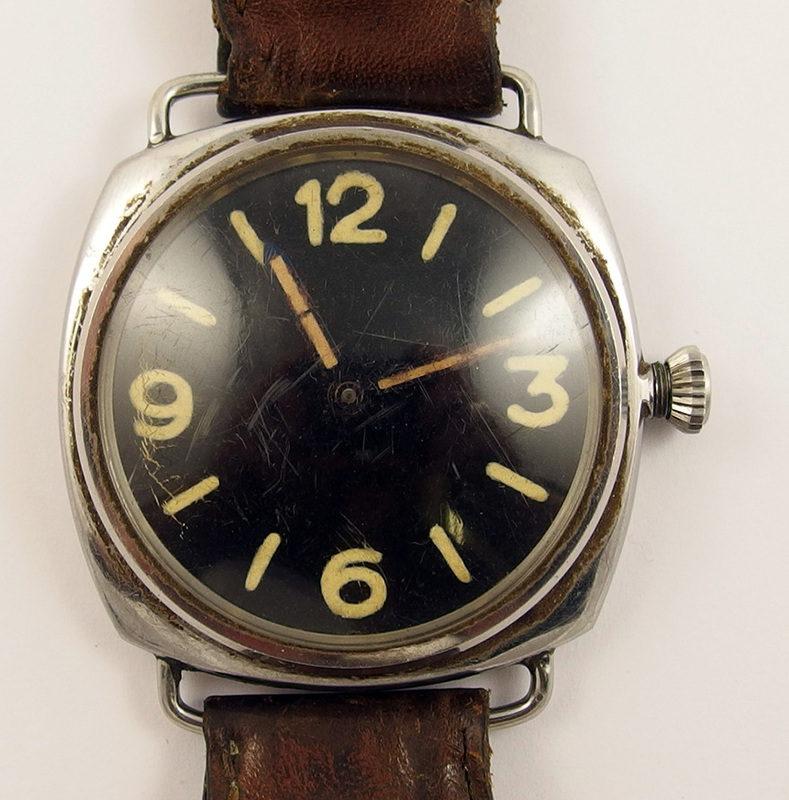 And in case you were wondering, the watch was eventually auctioned off for £54,560. Ever wondered why it was only in 1969 that the first automatic chronograph was invented? Don’t be fooled by their popularity, the chronograph complication is actually one of the most difficult and complex to execute. Now, there’s two main types of chronograph movements – column-wheel and cam-actuated. But have you wondered how they actually work? 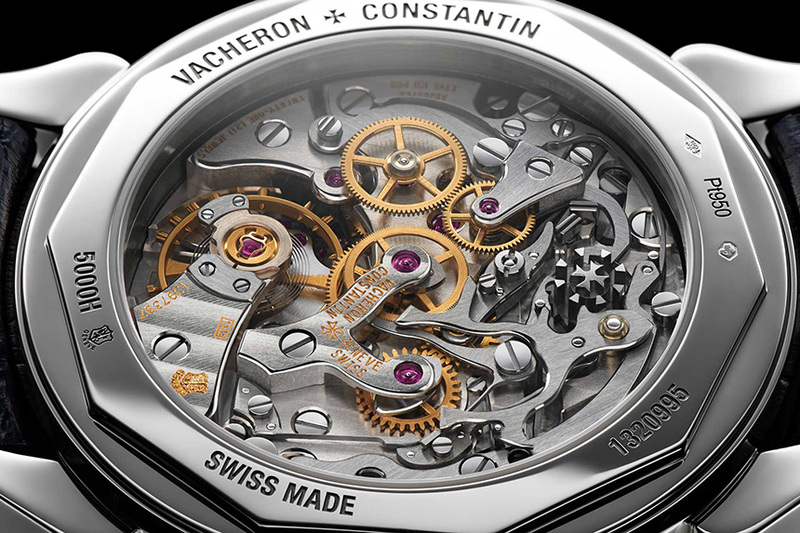 And why column-wheel chronograph movements are favored over their cam-actuated counterparts? Hit the link the below and wonder no more.